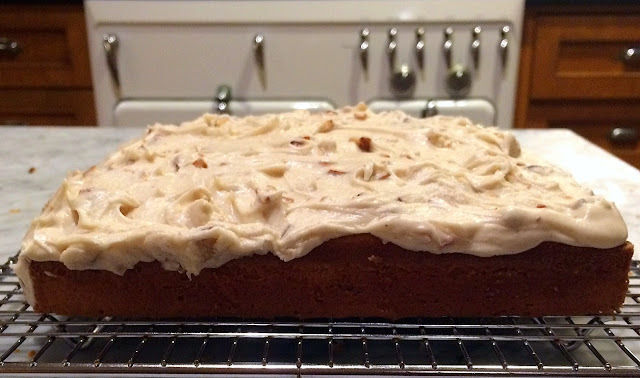 Before October ends in just a few hours, I figured I'd better end my blog sabbatical and post this October Butternut Cake recipe -- though it is good enough to make in any month. 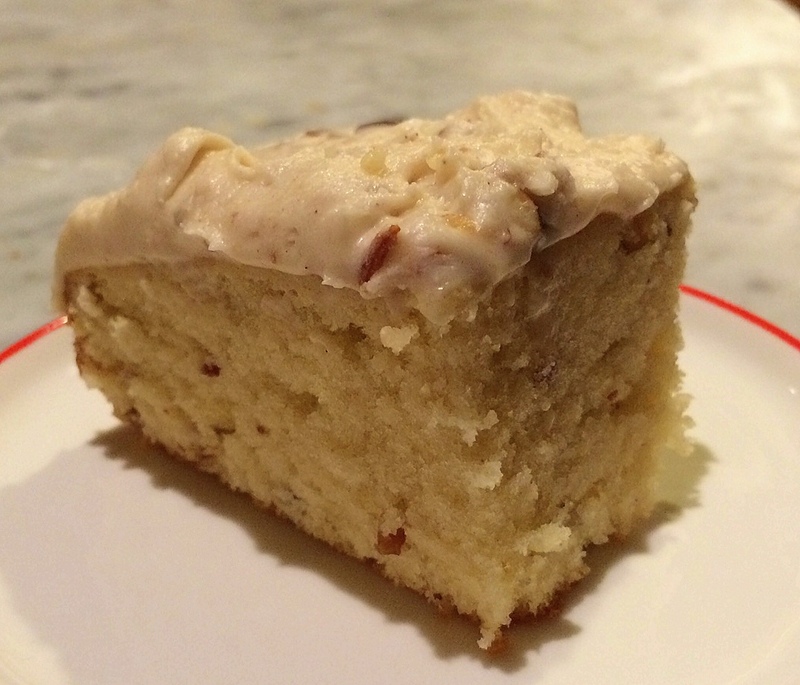 It's a light and delicious white cake studded with nuts, and finished with a brown butter frosting. 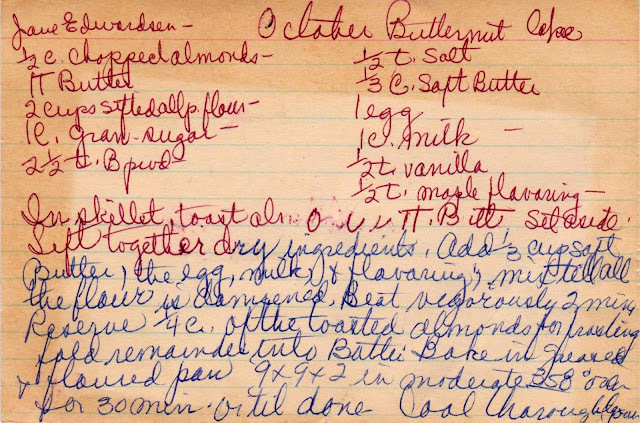 When I first encountered this unusual vintage recipe, I expected it to feature butternut squash. But no. It doesn't even call for real butternuts (a type of walnut) or butternut flavoring. The butternut portion of this recipe refers to the instruction to saute almonds in butter. After the cake ingredients are mixed, fold in half of the sauteed nuts. Pour into a greased and floured pan and bake until done. While the cake is cooling, start the frosting. 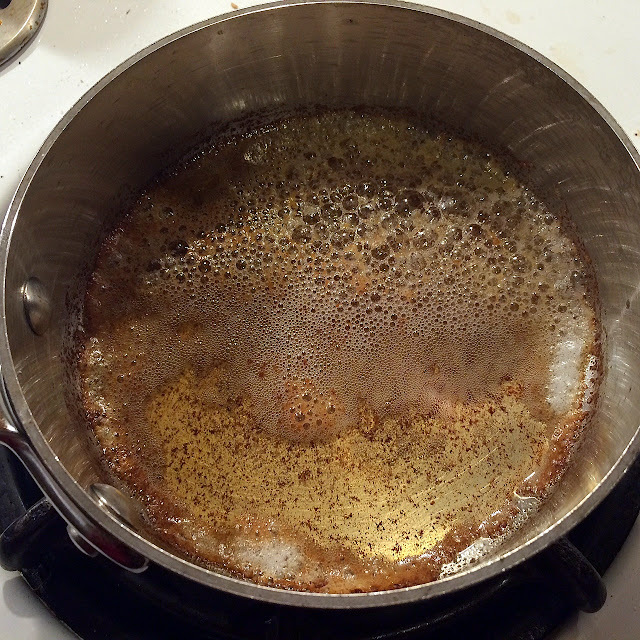 Brown the butter carefully (it can turn from delightfully fragrant to burnt in just a moment). When done correctly, brown butter has a slightly nutty flavor. 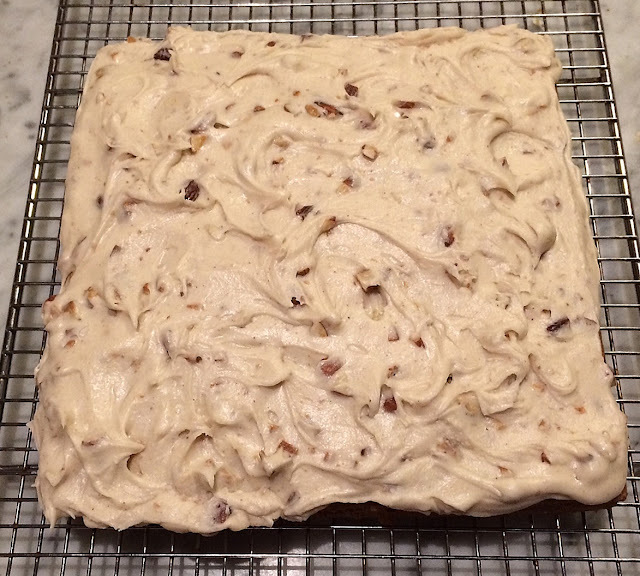 The frosting will look rather unappetizing, until the liquid is added. 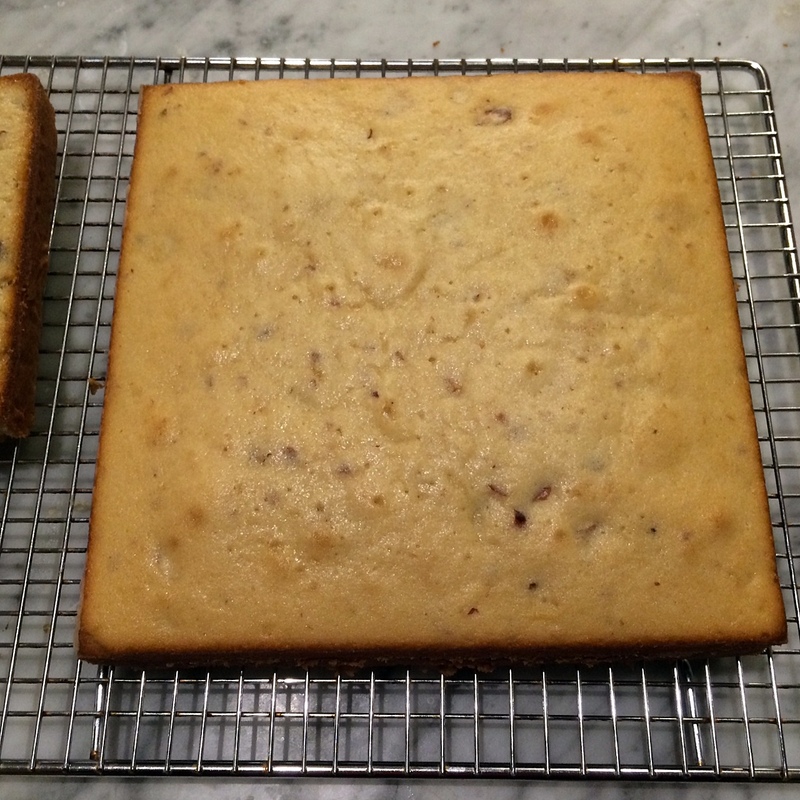 The original recipe card is below, and below that is my (clearer) instructions. Production notes: Make sure the butter is quite soft, as it is added directly to the dry ingredients. I didn't have maple flavoring, so just used vanilla. In a small skillet melt 1 T butter and saute nuts until fragrant. Set aside. 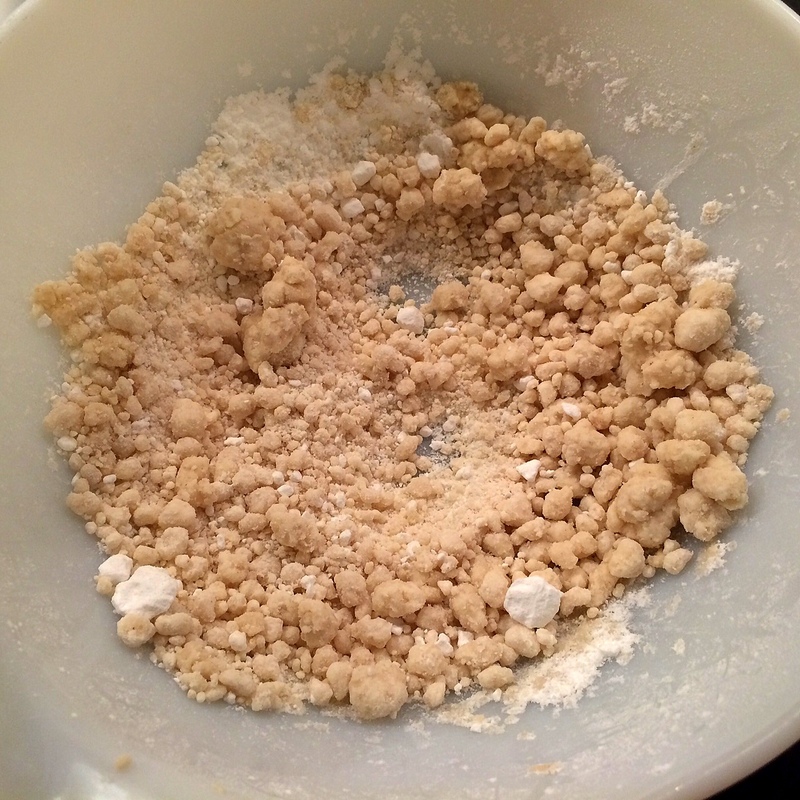 In a large mixing bowl, combine dry ingredients well. 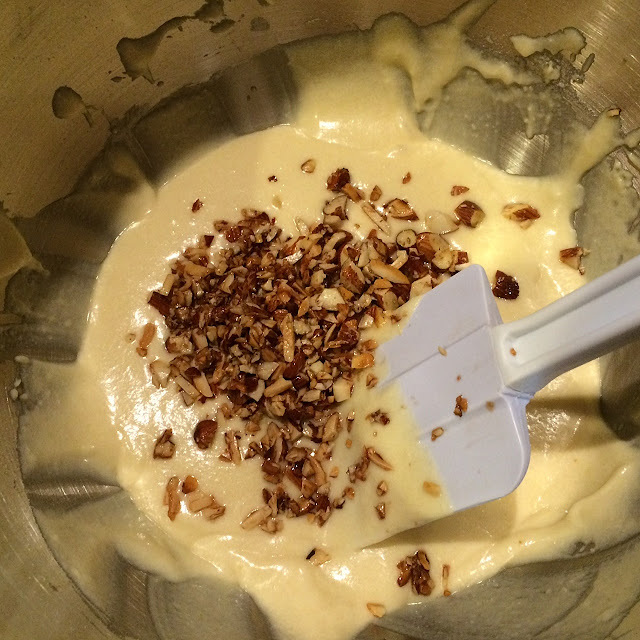 Add 1/3 c softened butter and mix well. Add egg, milk and vanilla. Combine well. 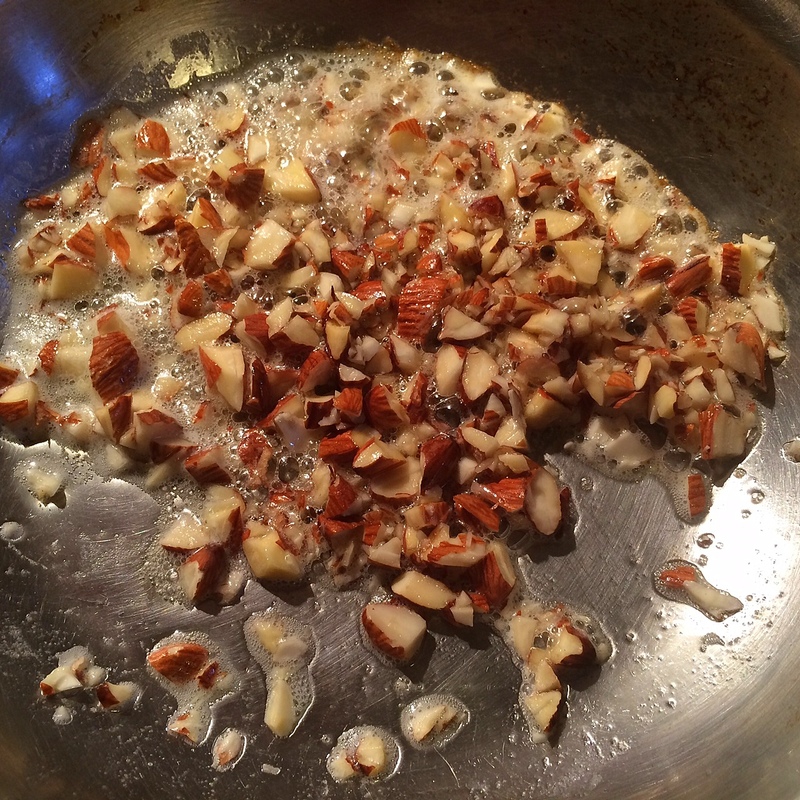 Fold in 1/4 c almonds. Bake for 30 minutes, or until a cake tester comes out clean. In a small saucepan, brown the butter. Add milk, remainder of sugar and flavoring. Looks yummy. Just curious. 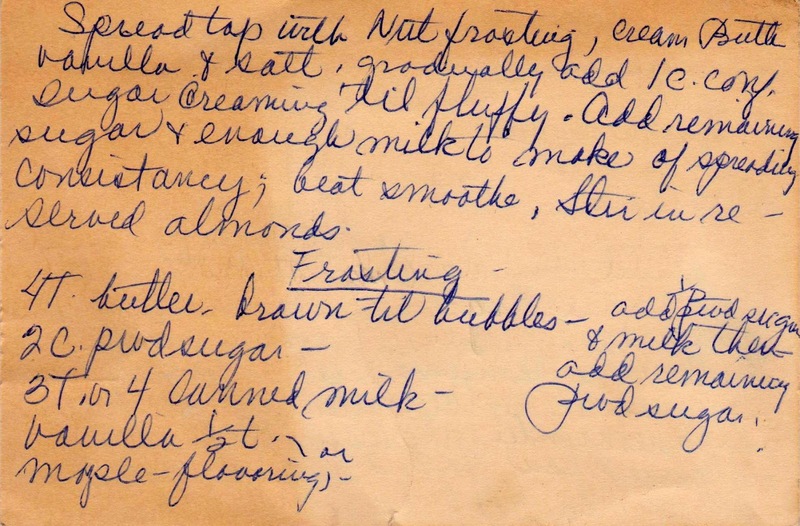 On the handwritten card it looks like for the frosting it says canned milk. Is that what I'm seeing. Do you think she means evaporated milk? Any idea of the date of the recipe. Thanks for posting! Hi Aunt Lil -- The card does indeed say canned milk, but I just used fresh, having no canned milk on hand. 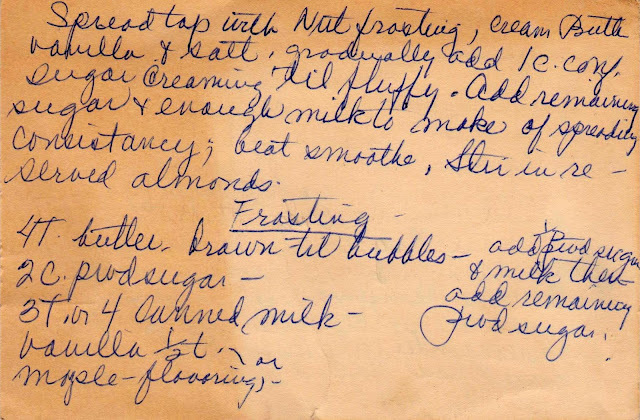 And no idea as to the date of the recipe. The brown butter I think is a bit more modern, as is the reference to all-purpose flour, so maybe 1970s, or even 80s? Though the canned milk hearkens back to an earlier era. Thanks for writing! This is on my Must-Bake list for my weekend of baking!! I made this today, using a lot of vanilla and a bit of maple. It was amazing.